Shanthi is a Professor of Public Health at the Faculty of Medical and Health Sciences at the University of Auckland. 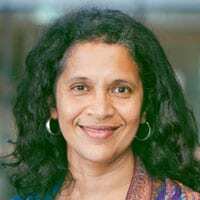 A pediatrician and public health physician by training, Shanthi undertook postgraduate studies at the Johns Hopkins University before returning to New Zealand to lead a multi-disciplinary research program focusing on injury prevention, trauma care, transport systems, and disability. An enduring theme throughout her career has been the desire to reduce inequities in population health through addressing barriers in physical and social environments. Collaborating widely, Shanthi’s award-winning research crosses traditional boundaries of scholarship in order to stimulate changes in policy and practice. She has published widely, serves on multiple international research advisory groups including the WHO, and is passionately committed to coaching and mentoring the next generation of scholar-activists.